How to use Javadoc tool and why? Javadoc tool is basically used to see the documentation of each and every prefine Java class. You can easily learn each and every thing from java documentation like about class, method, static constant, interface and all. Javadoc tool play very important role in java development so you have to know how to use Javadoc tool. Sun Micro System provides (Oracle) a lot of tool with JDK like java tool, javac tool, Javadoc tool etc. all the tools are available in the the bin folder so there is no need to download anything. 1. First of all copy the src.zip from your JDK folder In most case C:\Program Files\Java\jdk1.8.0_05\src.zip and past it in another folder. 3. 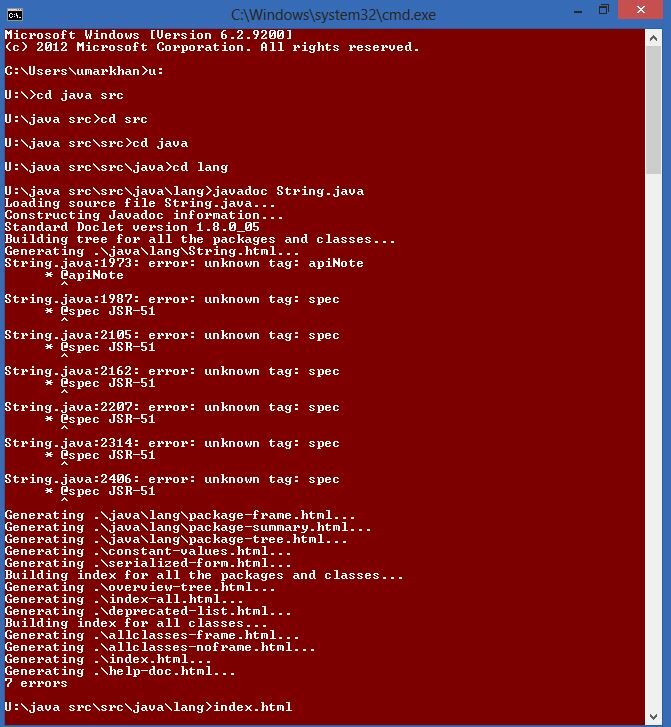 Open command prompt and go in that specific package(In my case U:\java src\src\java\lang). 4. 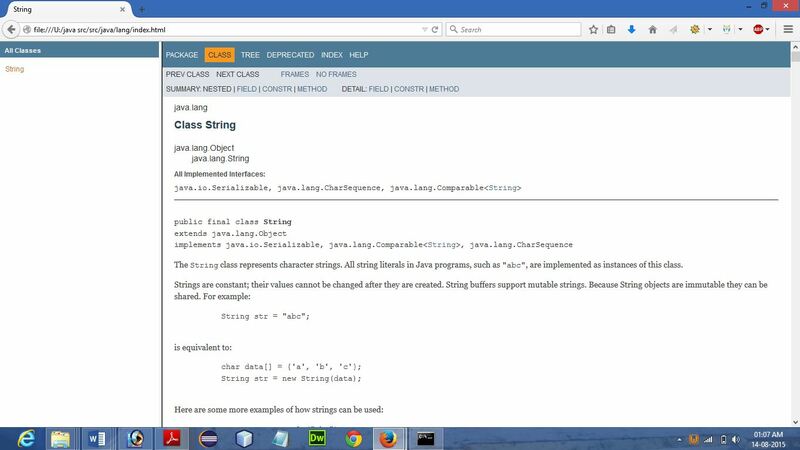 Type Javadoc String.java (For String class documentation). Note: You can create all the classes documentation of a package by using (*) astric sign. How to see or read this documentation? Type index.html in CMD or go to that particular folder and open index.html. Crafty men condemn studies, simple men admire them, and wise use them.